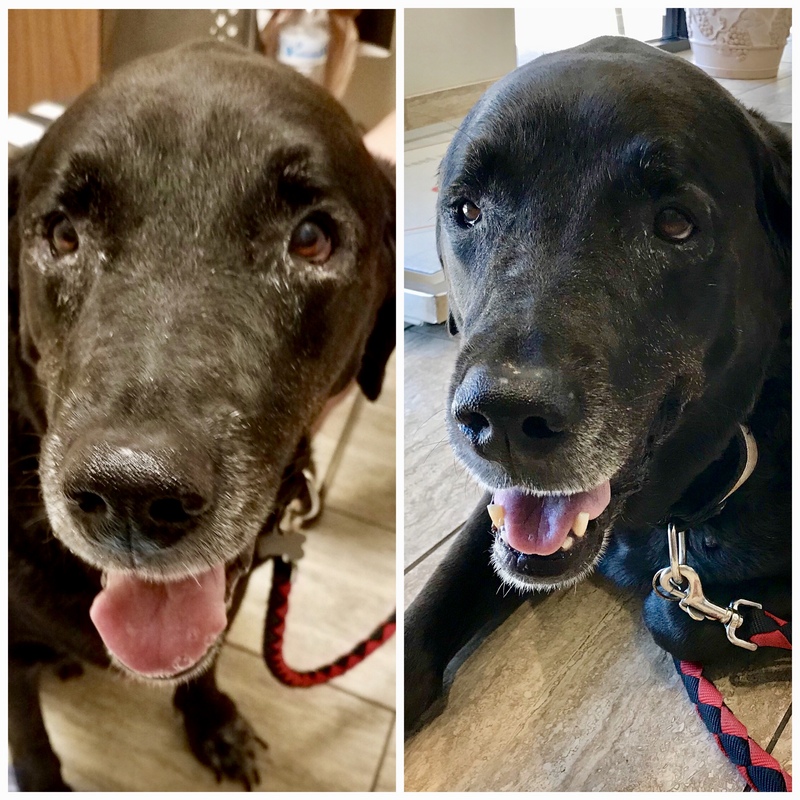 Veterinarian Chandler | Animal Hospital Chandler | Veterinary Clinic Chandler - [Case Study] Freedom with a chronic disease. Freedom is an 11 years old Lab who has been suffering from constant ear infection and skin allergy since he was 10 months old. He was treated with so many different antibiotics, different ear cleaners, several topical ear medicines throughout his life. Freedom’s mother was always worried about him being in pain and discomfort. She decided to make some changes for his care. October 3rd was Freedom’s first appointment with us. He was so loving and gentle. We all fell in love with him at first sight. Exam room quickly was filled with the odor from his skin and ear infection. Eyes were red, his feet were all red and swollen from his allergy. As we were discussing how stressful allergy treatment can be and future plans for his ongoing treatment plan, mom started crying. We ensured her mother that we will be here to help with this long journey. October 13th. Freedom came in for his progress exam. Freedom and his mom were so happy. He was not itchy anymore. Ears were doing better, he stopped chewing at his feet. Eyes were clear. Mom said he has never been this comfortable and the house smells so nice, too. She was so grateful for the care he received. Do you have a pet with ongoing skin disease? Ear infection keeps coming back? It might be time to consider making some changes for their care. Don’t give up hope. We’re here to help.